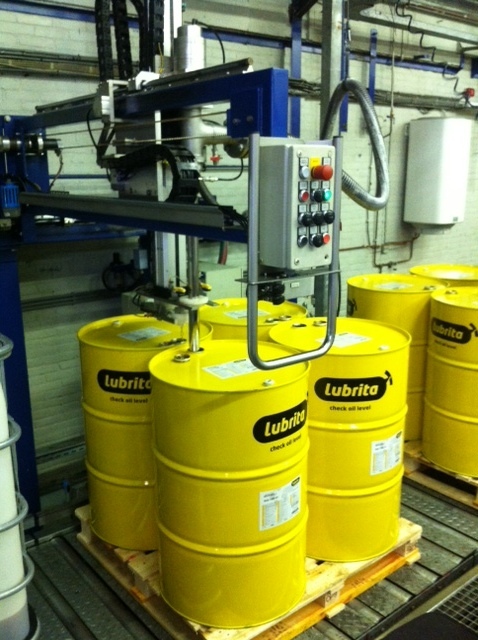 During Lubrita oils filling we use high quality control at each stages - from the conception up to the oils and greases delivery to our Lubrita distributors worldwide. Innovation, research and development it‘s one of our main concern. A comprehensive range of Lubrita Lubrican filling machines brings the best solutions and meet our customer's requirements. We fill Lubrita oils into different packages: Bulk deliveries (auto cisterns), Flexi-tanks (ships 20 " and 40 " - containers), 1000 L IBC containers, 200 L drums, 20 L pails, 5 L, 4 L and 1 L cans.